We (Frances, Leonard, Susanna and I) went to the Los Angeles Temple Visitors Center tonight to hear a most delightful musical program presented by Russell & Virginia Fox. 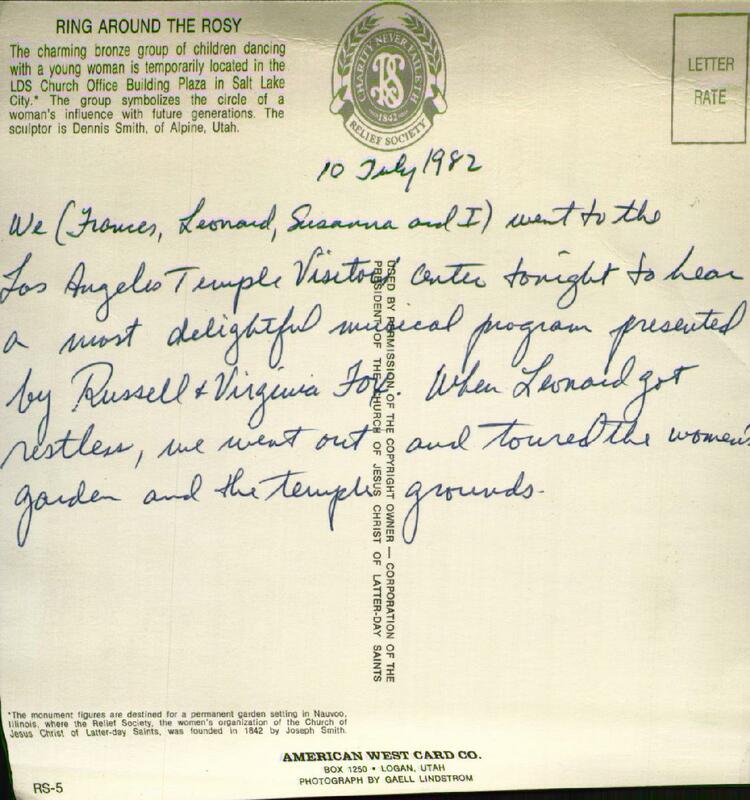 When Leonard got restless, we went out and toured the women's garden and the temple grounds. 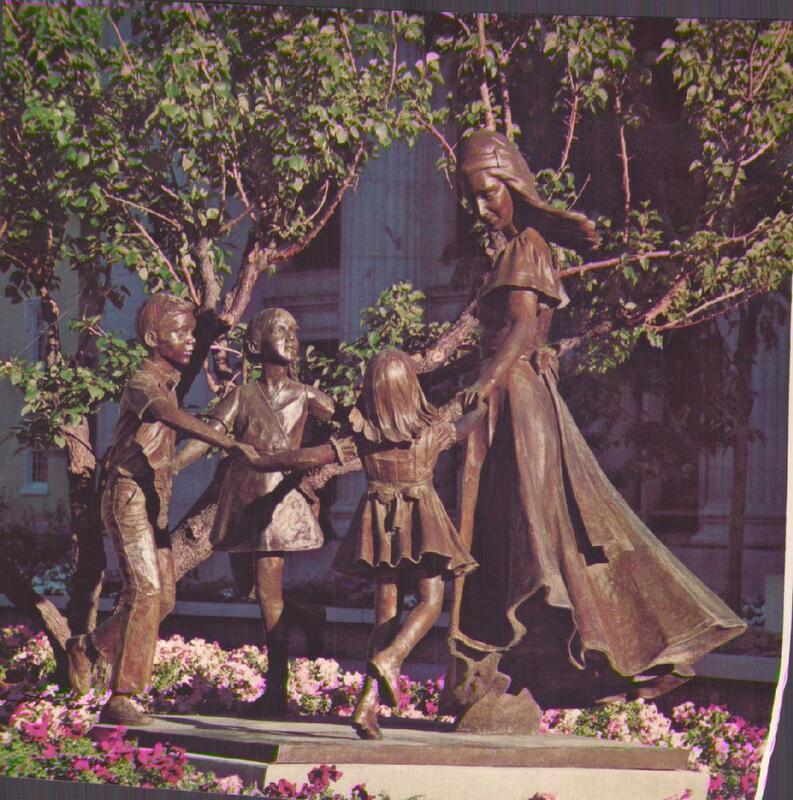 The charming bronze group of children dancing with a young woman is temporarily located in the LDS Church Office Building PLaza in Salt Lake City. * The group symbolizes the circle of a woman's influence with future generations. The sculptor is Dennis Smith, of Alpine, Utah. * The monument figures are destined for a permanent garden setting in Nauvoo, Illinois, where the Relief Society, the women's organization of the Church of Jesus Christ of Latter-day Saints, was founded in 1842 by Joseph Smith. "Letter rate"? Is this an oversized postcard? Yes, that's what I decided to comment on.